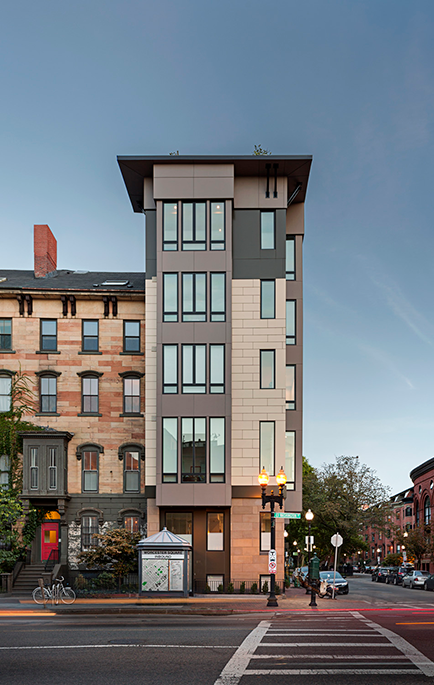 Located at the former “Hite TV” site at the corner of Washington Street and Worcester Square, this completed 6-story building houses 9 market-rate residential units, 8 of them having direct elevator access and a townhouse on the rear. 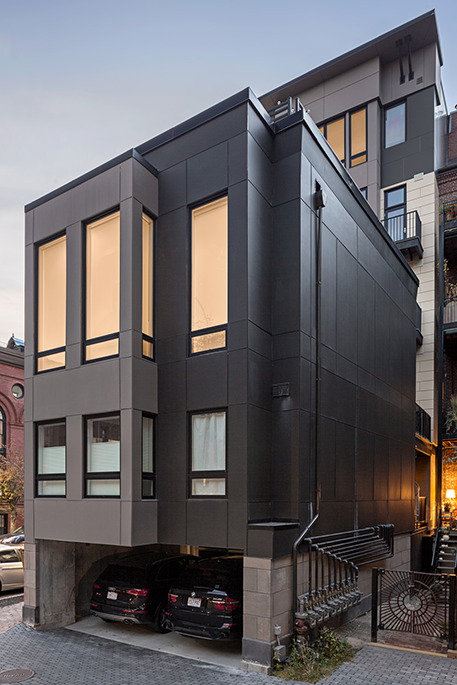 Particular attention was paid to the immateriality and detailing of this building given the properties status as a “Category A” site, subject to full review and approval by Landmarks and the Boston Redevelopment Authority. Our goal was to create a building that frames the entry into Worcester Square, complementing the Allen House. By working closely with abutters through the zoning process, we were able to achieve a more substantial development than others had tried prior given our dedication to working with the community, understanding their concerns, thus shaping our project for the best possible outcome.